What are Lasers Used for in Dentistry? Dental lasers have been used since the 1960s, but they are becoming increasingly popular as more dentists and patients discover their benefits. Our Los Angeles dentist can use lasers in a variety of applications to alleviate pain, discomfort, complications and anxiety. We can help you decide if laser dentistry is right for you. Frequently used to treat soft tissues, dental lasers offer a gentler way to treat gum disease. The laser can kill bacteria, and it offers more precise results. Recovery times tend to be shorter, and most patients experience less swelling and bleeding than they do with traditional methods. Lasers can also be used to treat decay without the noise and discomfort of the traditional cavity filling process. We can remove the decayed tissues and cure the filling material using the laser for a faster, more comfortable procedure. They can even be used to speed and intensify the teeth whitening process. Lasers allow the whitening gel to penetrate deep inside the structure of the tooth and break up even those hard-to-reach stains. As effective as lasers can be, they may not be right for every procedure. For example, we may still need to use traditional drills to remove old, worn metal fillings. Contact our office today to learn more about your options or to schedule an appointment with our expert in laser dentistry in Los Angeles. How Is Dental Bonding Performed? Whether your teeth are gapped, chipped, cracked, or irregularly shaped, if you are unhappy with the appearance of your teeth, you may benefit from dental bonding. Dental bonding involves placing a durable resin onto the teeth and hardening it with a localized light. This allows for a cosmetically improved smile and often a stronger, more functional one. The procedure for dental bonding in Beverly Hills involves little prior preparation. Anesthesia is rarely required, only when bonding is filling a severely damaged or decayed tooth. The resin bonded to your teeth is selected to closely match the color of the rest of your teeth. Prior to bonding, the tooth surface is coarsened before receiving a conditioning liquid. These things help facilitate the bonding. The tooth-colored resin is then shaped to fit over your tooth. An ultraviolet laser hardens this material, completing the bonding. After the resin hardens, your dentist will continue to shape and polish the tooth to ensure it matches the rest of your mouth. Dental bonding involves an easy, no-fuss procedure. It is also one of the least pricey cosmetic treatments you can choose for your teeth. So long as only a couple teeth are involved in the procedure, dental bonding requires only one office visit. On top of it all, very little tooth enamel is removed in preparation for dental bonding. This puts many patients at ease. Call today for a consultation regarding dental bonding, its procedure, and what it can do for you. Dental bonding is a non-invasive option for restoring the appearance and structure of teeth that have been damaged by physical trauma or decay. 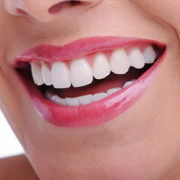 By applying a composite resin to teeth and curing it with a light, our Los Angeles cosmetic dentist can permanently hide stains, chips and cracks or improve the shape and size of teeth. Although bonding is often used for cosmetic reasons, it is also useful for protecting teeth that are prone to acid erosion and tooth decay. Bonding can even be used to eliminate sensitivity in teeth that have already suffered some degree of wear. As a result, teeth that have been cosmetically enhanced by bonding are more likely to keep looking and feeling good in the future. Bonding is performed in a single procedure in most cases, making it ideal for busy patients. Our dentist begins the bonding procedure by buffing the teeth and etching them so that the composite resin will easily adhere. Next, our dentist applies the resin, shapes it and cures it before trimming and polishing it to optimize its appearance. Although bonding material is resistant to damage, patients should avoid heavily pigmented foods and drinks and very hard foods in order to preserve their results for longer. To learn more about when bonding is used, patients can call our expert in dental bonding in Los Angeles to schedule a consultation. Same day dental implants are a fast, effective way to return a natural smile to your teeth. Whether you need one, a few, or all of your teeth replaced, or even if you wear dentures or partial dentures, our Los Angeles dental implants doctors can professionally place same day dental implants. 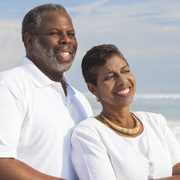 Traditional dental implants require multiple dental visits and take months to heal. The day you receive your same day dental implants, you can eat and drink what you want, just as you would with healthy, natural teeth. Once your implants fully heal, they will match your natural teeth in strength and durability. After your initial consultation for same day dental implants, 3D scanning and high-tech imaging software are used to manufacture your replacement teeth, ensuring they meet the specifications of your individual mouth. This way, when you arrive to receive your same day dental implants, everything is prepared, and all you need do is sit back and relax. If you would like to receive same day dental implants and see an improved smile in a short amount of time, call to meet with our expert in same day dental implants in Los Angeles. Cost is a huge factor when considering undergoing any sort of dental treatment. The question of longevity is often directly tied into cost. If patients know the benefits of a treatment will last them a substantial amount of time, they will be much more apt to pursue a costly procedure. Many people considering having veneers placed may be unsure of how long they are likely to last. Like almost everything in life, if you properly maintain something, it will most likely last a long time and stay in good condition. This statement holds true in regards to your porcelain veneers. Maintenance is key, so treat your veneers like the rest of your teeth. Brush and floss regularly. Our expert in porcelain veneer in Los Angeles may suggest a nonabrasive fluoride toothpaste to minimize wear on your new veneers. It may take you a couple weeks to get used to speaking and eating with your new veneers. With proper care, new veneers can last patients anywhere from 5 to 20+ years. Oftentimes the longevity of veneers depends on the skill of the person who performed the procedure. If your veneers are well-placed and you maintain them, they could potentially last the rest of your life. Many people probably associate orthodontic care and visits with teenagers and metal braces. Some may not realize that orthodontics is a distinct dental area specializing in fixing alignment issues involving the teeth and jaw. This problem is commonly referred to as poor bite or more medically, malocclusion. If your dentist or orthodontist alerts you to this problem, you may have a choice between immediate or later treatment, depending on the seriousness of your alignment issues. Receiving orthodontic treatment can help you avoid later more serious dental issues like gum disease, tooth decay, or even tooth loss. Our orthodontists in Cupertino offer several orthodontic treatment options for adults. Braces are one of the most popular treatments, as they are able to both fill in teeth gaps and create more space for crowded teeth. Any teeth in strange positions can also be fixed with braces. Apart from traditional metal braces, our orthodontists also offer ceramic braces. These braces involve ceramic brackets placed on the teeth, chosen to match the color of your natural teeth so as to be less apparent. Adults often do not desire the attention braces tend to attract. An even sleeker braces option is Invisalign. This treatment involves wearing a series of clear plastic aligners that adjust your teeth gradually over time. Call today to schedule a consultation with our Cupertino CA Invisalign expert for Invisalign or any other type of orthodontic treatment. Dental implants stand out as a preferred tooth replacement option for their ability to fulfill the role of tooth roots. Firmly anchored in the jaw bone, dental implants can be used to mount permanent crowns or stabilize removable dentures. Here is what you should know about implants. Dental implants surpass alternatives in their ability to preserve oral health and appearance in the long term. With no hardware outside of the gums, dental implants reduce accumulation of food particles and make brushing and flossing easy. Teeth shifting and jaw bone resorption, which can cause facial muscle loss, are also prevented by dental implants. Patients who visit our expert in dental implants in Torrance receive a consultation to determine their treatment needs and options. When jaw bone loss has occurred, bone grafts may be necessary. Placement surgery is performed through incisions in the gums and allowed to heal for several months. Finally, the implants are topped with crowns or dentures according to the treatment plan. Patients who receive dental implants can help preserve their health and appearance in the future by brushing and flossing daily and visiting our dentist at least twice each year for check-ups. By scheduling a consultation with our dentist in Torrance CA, patients can find out if they are eligible for dental implants.